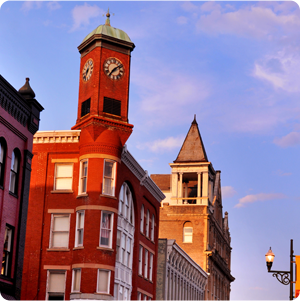 Home > #LOVEstaunton > Uncategorized > Staunton’s Got Talent! The Heifetz Institute is dedicated to the artistic growth and career development of some of the most talented and promising young musicians in the world. 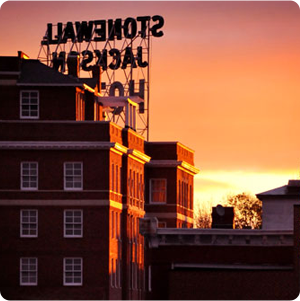 For six weeks each summer, the Heifetz International Music Institute brings together 75 advanced string players and a faculty of world-renowned artists for a summer of performance and study – right here in Staunton, Virginia! Concerts are happening now through August 10, 2013 at Mary Baldwin College’s Francis Auditorium. So, what’s all the buzz about? 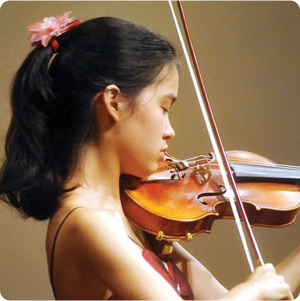 The Heifetz International Music Institute is an intensive, six-week summer program for the world’s most brilliant young artists of violin, viola, and cello. Auditions are held each January at some of the nation’s top conservatories. Students come to study at the institute from all over the world. The Celebrity Series, in which faculty and students come together to perform, takes place on Thursday and Friday evenings at 7:30. This year’s performances will include such artists as Elmar Oliveira, Amit Peled, Joan Kwuon, members of the Emerson String Quartet, and many more. Tickets for the Celebrity Series are available by calling the Institute office at 410-480-8007. The Stars of Tomorrow Series, featuring the Institute’s brilliant young artists, takes place on Wednesday evenings at 7:30 PM and Saturday afternoons at 1:30 PM at Mary Baldwin College Francis Auditorium. The Stars of Tomorrow performances are free to the public. Ready to see the stars in action? Visit the Heifetz website for updated concert and performance details. Don’t delay – this is a limited season. 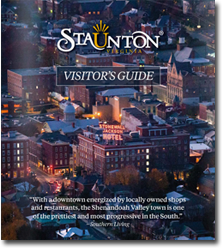 For visitors to the area, information about where to shop, dine, and stay is available at VisitStaunton.com. Once the Heifetz program concludes, classical music fans can still look forward to more world-class talent in downtown Staunton! The Staunton Music Festival, one of the most innovative chamber music festivals on the East Coast, runs for nine days in August. Staunton Music Festival offers performances from acclaimed European artists, many of them performing on a rare collection of early keyboard instruments. Tickets are on sale now by calling (800) 838-3006.